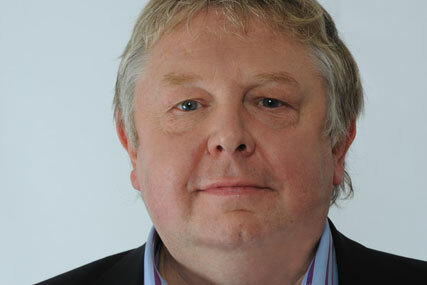 LONDON - The nominations for the Sony Academy Awards 2010 provided good news for commercial radio, with Global Radio's LBC 97.3's Nick Ferrari picking up a record five nominations, and Absolute Radio securing 12 chances to win. The nominations were announced last night by Global Radio's Heart 106.2 presenter Jamie Theakston, who was himself nominated for best entertainment programme. In total, Global Radio was nominated in 20 categories including station programmer of the year for Paul Jackson of 95.8 Capital FM, best music programme and three breakfast show of the year nominations. In the crucial UK station of the year category, Absolute Radio and UTV's national speech station TalkSport will go head to head against BBC Radio 5 Live. The Absolute Radio group was nominated 12 times including best live event coverage for Absolute Blur with Geoff Lloyd, best use of branded content for One Last Dream with Guitar Hero and best digital station for its sister station Absolute Classic Rock. TalkSport received nominations in the speech radio personality for Adrian Durham, best single promo/commercial for 'Dear Stan', a TalkSport creative, and best sports programme for The Alan Brazil Sports Breakfast alongside station of the year. Bauer Media received a total of eight nominations, including station of the year (one million plus) for Kiss 100, station of the year (up to 300,000) for the Scottish station Moray Firth, and music broadcaster of the year for Loz Guest on Kerrang! GMG Radio received six nominations for its Real Radio brand including best promotional campaign for Real Radio North East for Vote Joe and station of the year (One Million + TSA) for Real Radio Scotland. This year Sony introduced three new categories: 'Best use of branded content', 'Best single promo or commercial' and 'Best promotional or advertising campaign', which give agencies and advertisers the chance to win a Sony for the first time. Alongside Absolute Radio's nomination, the shortlist for the best use of branded content category includes activity for Coca Cola with 95.8 Capital FM, Channel 4's Skins and Topman with NME Radio and The Southern Comfort "Big Easy" with Jazz FM. In the best single promo/commercial category promotions, Heart Bristol, 95.8 Capital FM and TalkSport were joined by Maximum Productions for Pirate FM for James Neale for The Stop Smoking Service and 750mph for Tourism Ireland: Apology for Apology for Jedward which ran on Heart 106.2, Magic 105.4 and 95.8 Capital FM. Though it missed out in the digital station category, beleaguered digital station BBC 6 Music picked up six nominations including Best music programme and Best comedy. BBC 6 Music and the Asian Network, which picked up two nominations, were both earmarked for closure in the BBC's strategy review in March.